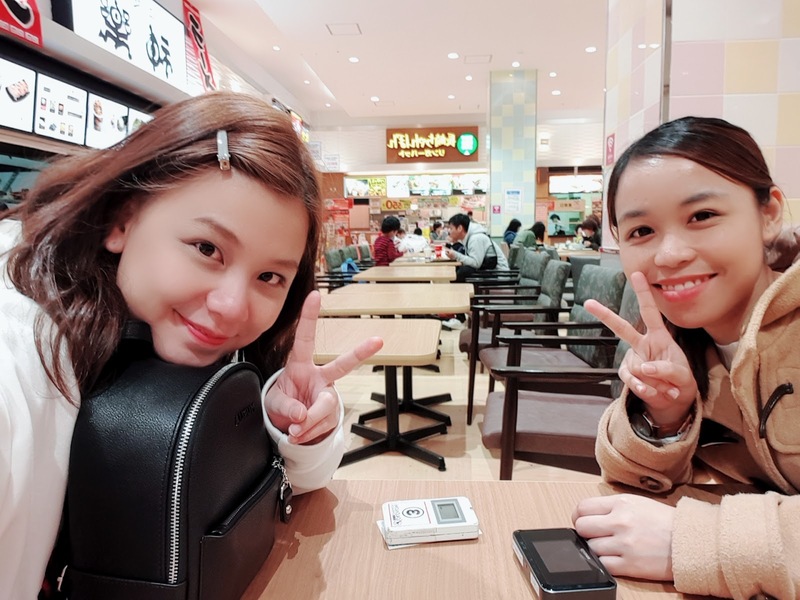 This march, Dyan and I went to the movies for the first time here in Izumo shi! On 2 separate dates, we watched 2 completely different films, but equally enjoyed both! 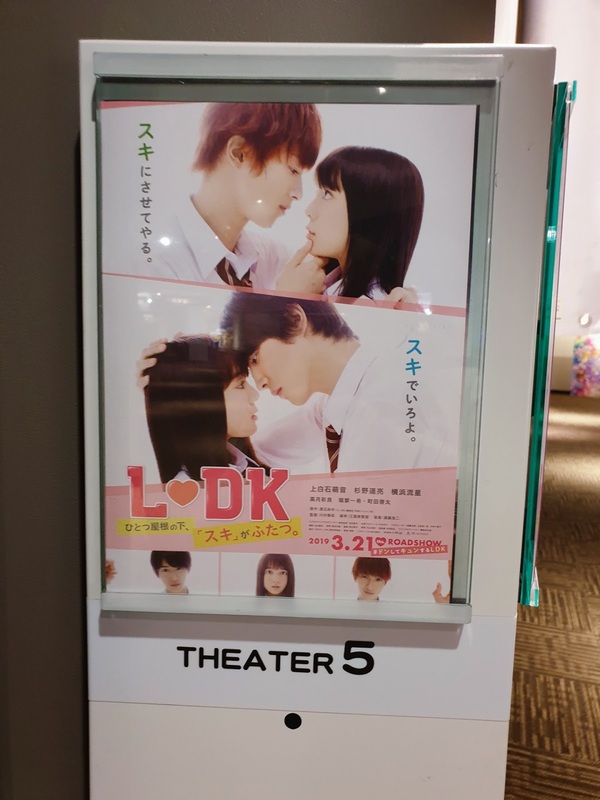 Last 2019年3月26日, we watched the continuation/reboot of the 2014 L♡DK movie, this new L♡DK movie had a completely different cast, but to be honest, I actually liked the newer one better than the 2014 version... the story was more detailed, the direction was better, and I also like the artists in the 2019 version more! But before we get into other details, let's talk about how to actually buy a ticket here in Japan! 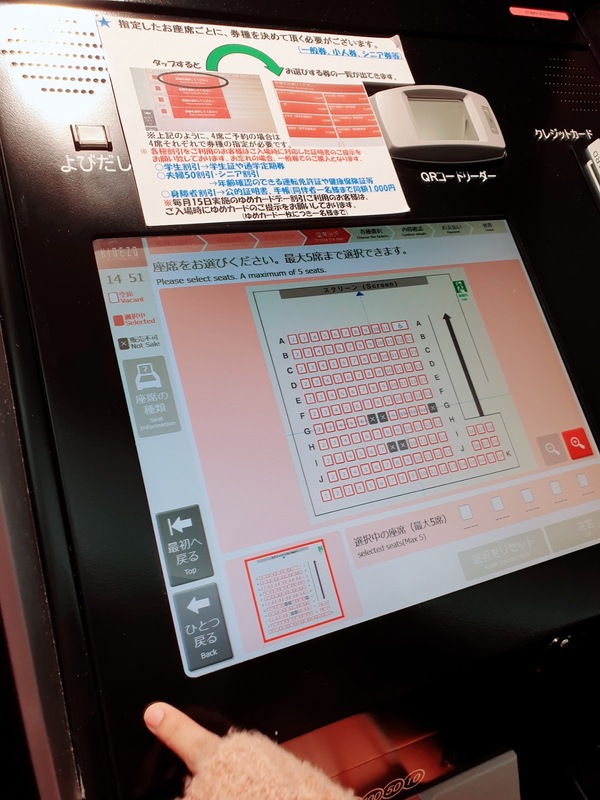 When buying a movie ticket, there are booths/machines that are similar to ATM machines, and that is where you select the movie, time, and which seat you want to take, pay using the machine, and it will print your ticket afterwards! There are instances/events where you can actually pre-order/buy your tickets in advance, depending on the movie if it is available, you will have to present it to one of their staffs, and from then on, that's where you can choose which seat you want to take. It's completely different in the Philippines where you have a separate booth for buying tickets! One thing that surprised me was the price of the tickets.... one movie ticket costs 1800円 or somewhere between 800 PHP / 16 USD. In the Philippines, normal tickets would range from 250~300 PHP (around 6 USD) depending on which mall you go to, we've already watched in 4DX, and the tickets range from 450~500 PHP (around 10 USD), and some malls even offer free popcorn and water. 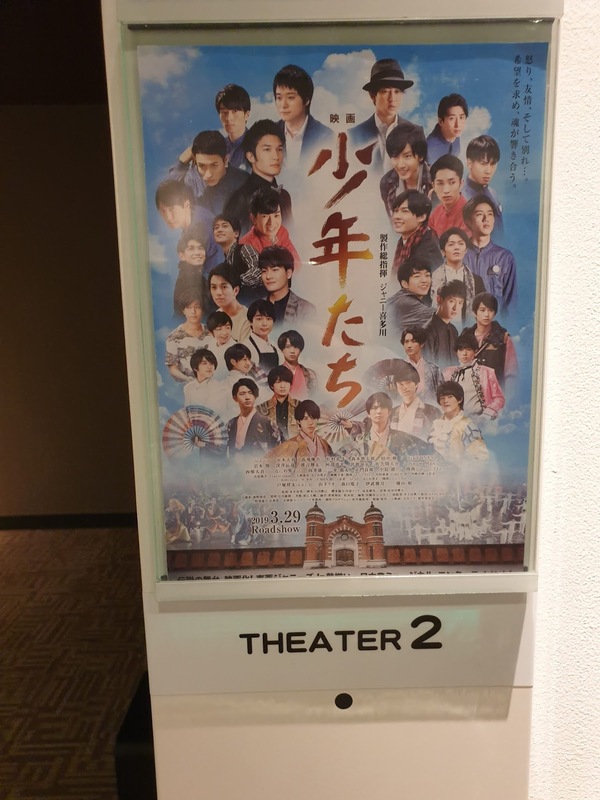 But here in Izumo, the 1800円 is literally just for the ticket, it's a regular cinema, and there's no free food lol so it is pretty expensive imo. Cinema food also cost quite a lot. 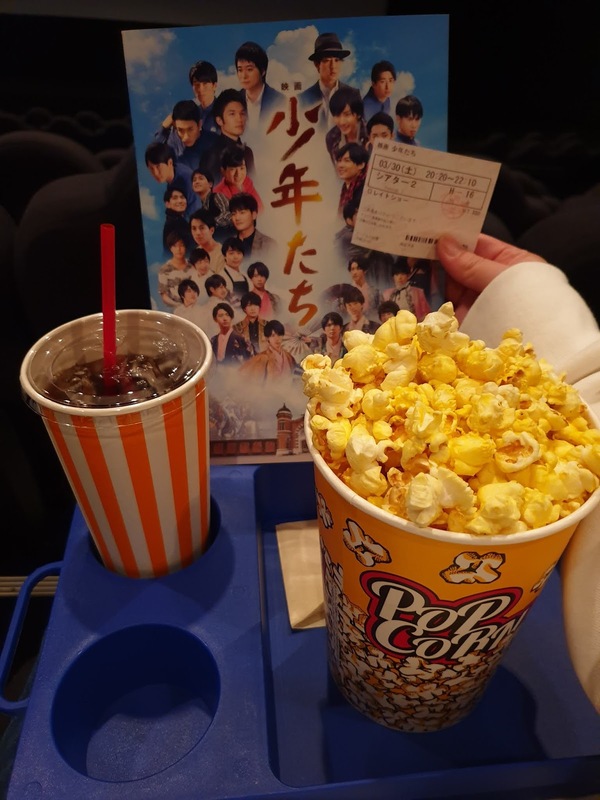 A small bucket popcorn set with drink is 750円, (350 PHP / 7 USD), and that's just the small size, in the Philippines, the price of 750円 would be the larger or medium sized popcorn with drink already. And there are only 2 flavors to choose from, Salt or Caramel. 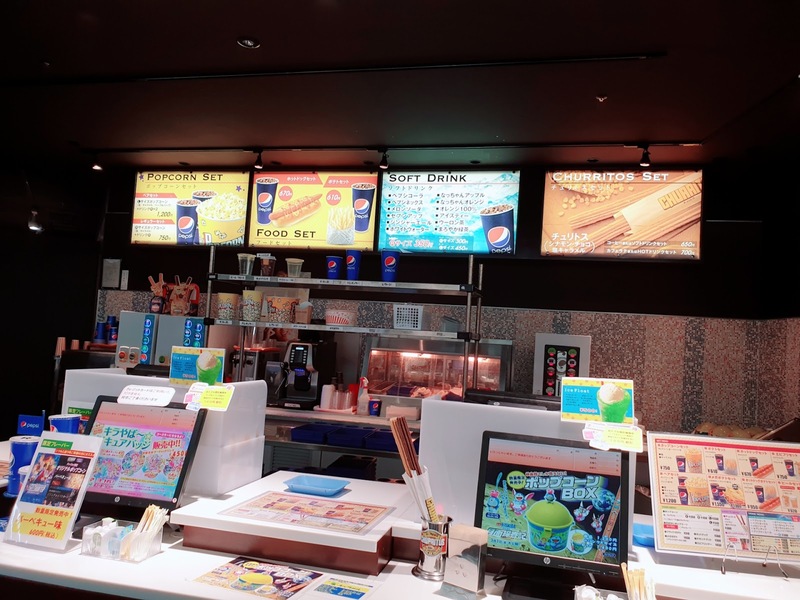 They don't have the variety of flavors like in the PH where you can choose from Cheese, Sour Cream, Barbeque, caramel, wasabi, ranch, etc. 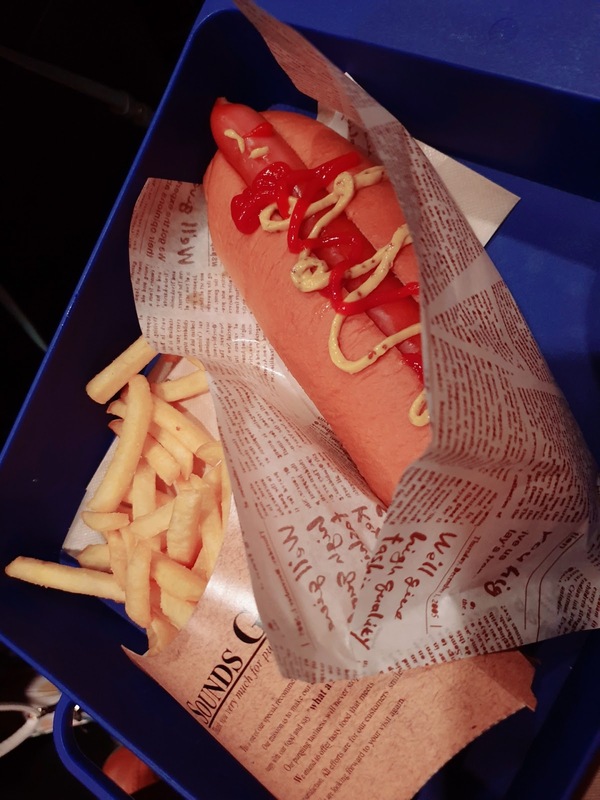 I got the hotdog sandwich with fries set meal for 950円 (450 PHP / 9 USD). 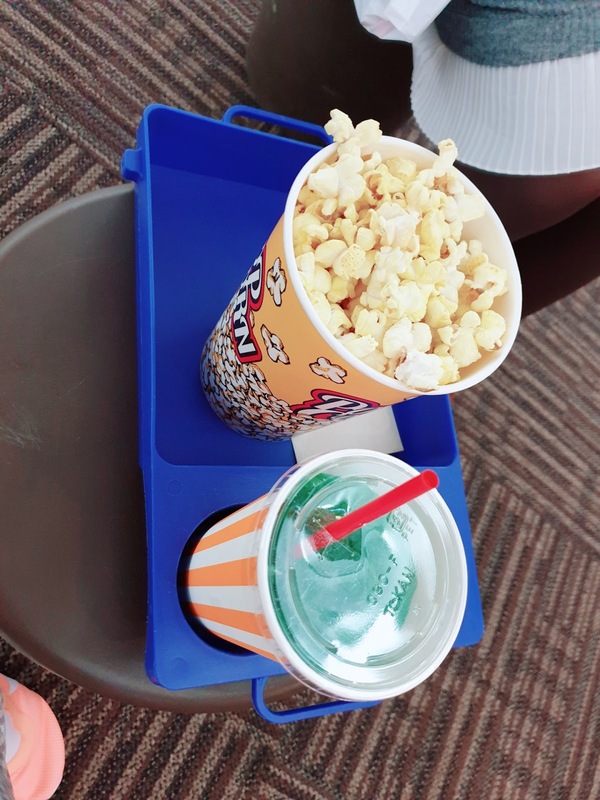 Dyan got the regular popcorn with Melon Soda! Back to the movie, we really enjoyed it! It was sooo funny and entertaining! 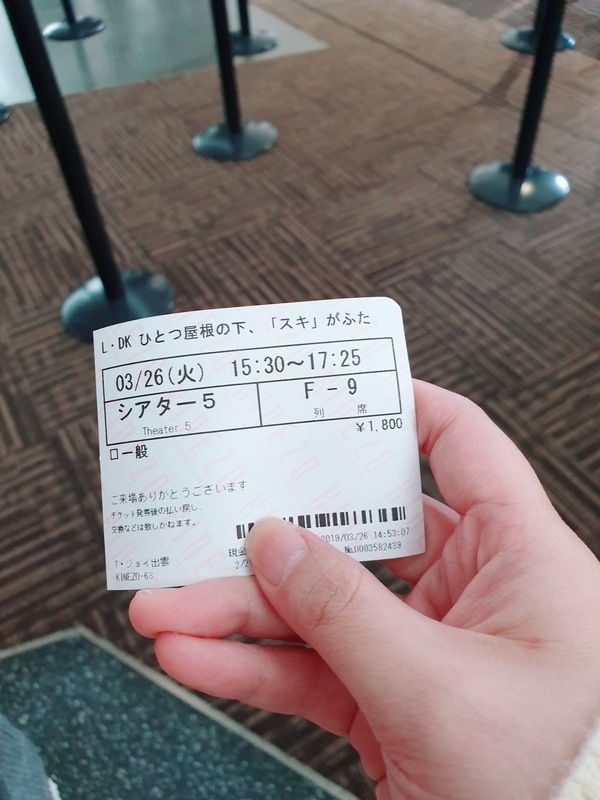 I was actually happy it was the first movie I experienced watching in a Japanese cinema, so do keep in mind there were no subtitles for this. I would say N3 level of Japanese, and you will understand this movie~ it's a nice slice of life, romantic comedy movie! 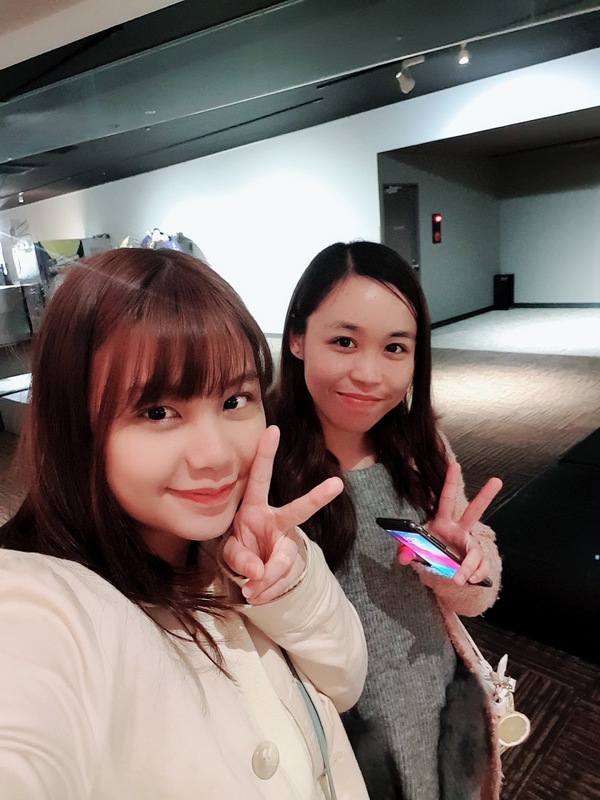 We took a selfie after the movie! 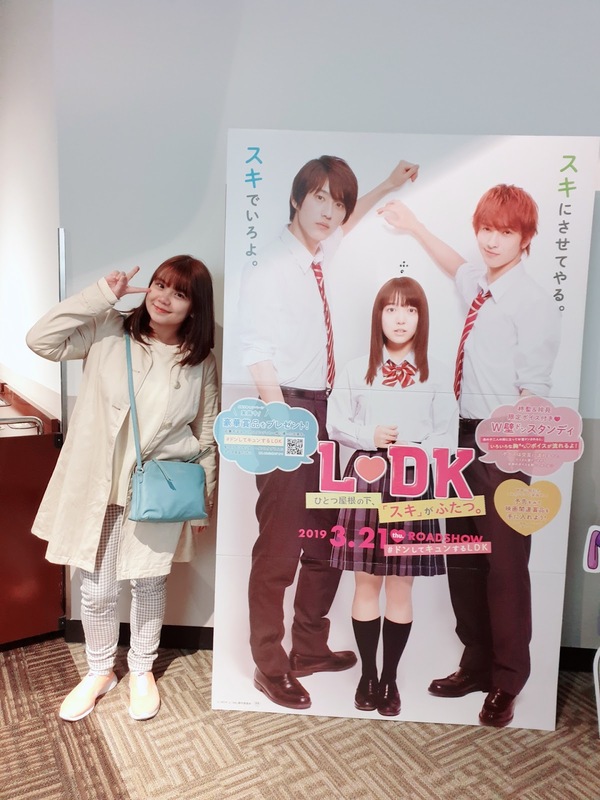 We watched the movie 2019年3月30日 and we watched the last full show, funnily, the last time of their shows is at 8:30 PM (7:30 PM MNL time)... in the Philippines, last full shows usually start from 10:30 PM MNL time and usually ends around 1:00~2:00 AM MNL time depending on the mall, here it ends at around 10~10:30 PM (9:30 PM MNL), and once you leave the mall, it literally feels like a ghost town... lol it's pretty dark here in Izumo Shi..
We ate dinner before watching the movie, and of course ordered a small popcorn set meal because... you can't enjoy a movie without popcorn lol and a selfie after the movie! This was also a really nice movie! I had a great time watching it, plus I love musicals! 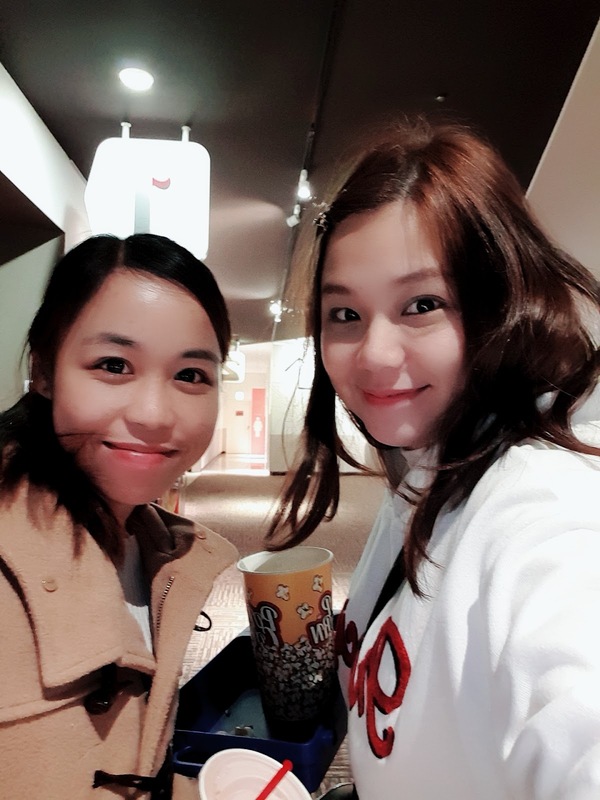 Dyan said she would watch Detective Pikachu with me on May since I watched this with her haha! 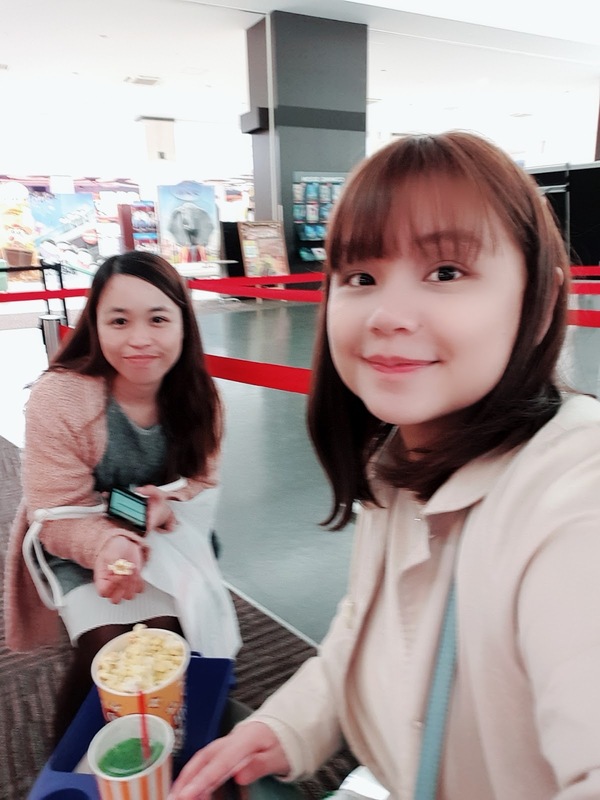 I will be watching Avengers End Game alone... lol but I am happy that it will be in the original english dub, and they would just have Japanese subtitles! Thank God! 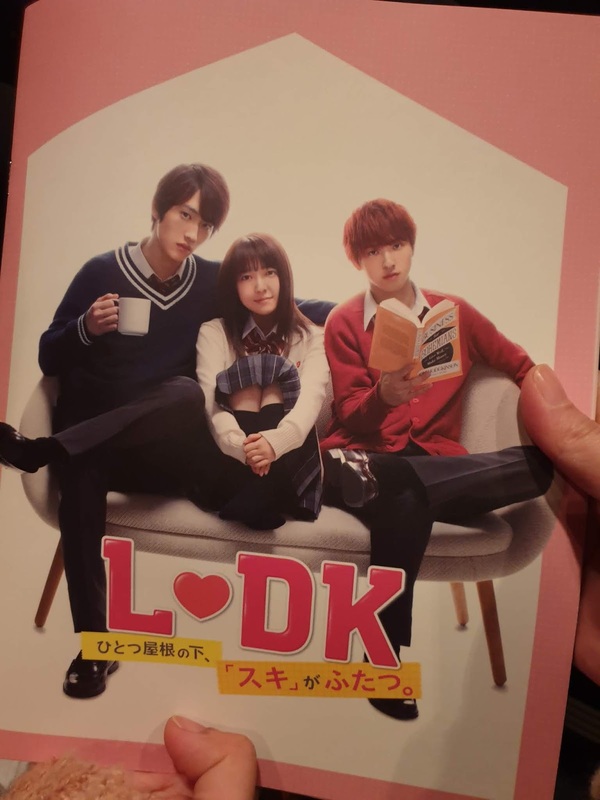 omg ldk!!! 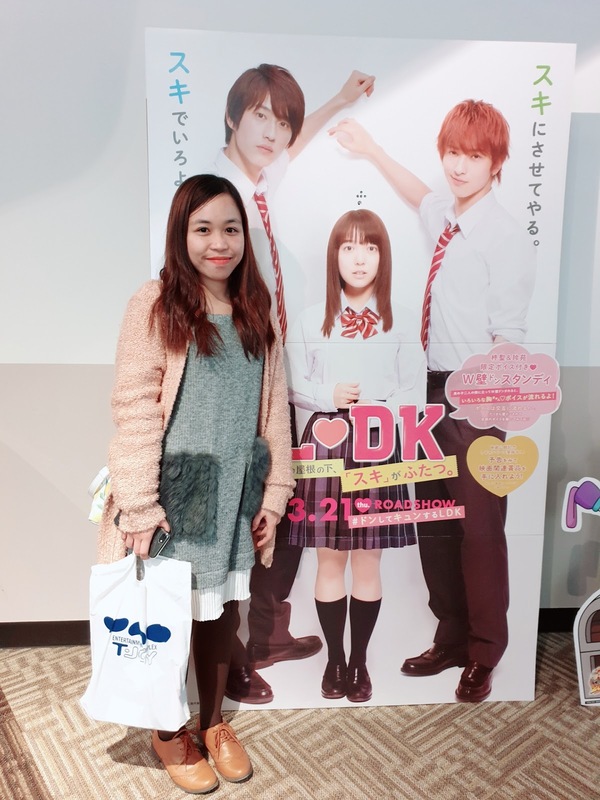 i wanted to watch that movie >_____< your so lucky!